If you have already registered or ordered from us, please use your current login information to use this forum. *** We are still working on the functionality (such as adding youtube video), so please send me your feedback. *** THANK YOU ALL! 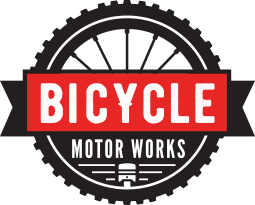 Bicycle Motor Works will not permit posts containing illegal, graphic or harmful content. Please report misuse.